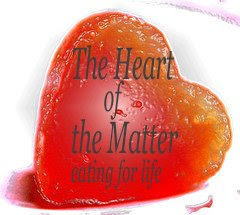 This is an announcement for November's Heart of the Matter - we're looking for recipes using GRAINS ... all sorts of grains - wheat, farro, spelt, kamut, amaranth, buckwheat, barley, corn/maize, wild rice, millet, sorghum oats, rice, rye, triticale, quinoa. And if anyone can tell me where in Britain I can buy teff I will be eternally grateful. That list: it's not exhaustive, and it contains grains I've never eaten, never mind cooked. But it also holds promise - of delicious, healthy, cheap meals. For these grains have been the staple food of mankind over centuries, ever since we stopped roaming, settled down and began to farm. I have a tendency to think of grains as part of that worthy wholefood 70s thing, brown food that tasted like sawdust. Daft really, because looking through my blog, I find dozens of delicious family favourites made with grains (and I'm not just talking about bread). In the next few days, I'm going to posts lists in groups to make them easier to find - I don't know about you, but I have a lot of half-used packets in my larder, from when I've enthusiastically cooked something new just once. I'm also going to recommend a really good book, one I found by accident about a year ago, and which is full of useful information about grains, as well as some excellent recipes. It's A Cook's Guide to Grains, by Jenni Muir. Here's an oat recipe adapted from it - too brown to photograph well, but utterly delicious, and cheap as chips (although much much healthier). Finely chop an onion and fry very gently in a solid saucepan using plenty of oil. When they're soft and golden mix in a cup (100g) of medium oatmeal and fry for a further 10 minutes or so. Stir frequently. When the mixture is nicely toasted, serve. This is good instead of potatoes; it's also great with mashed potato. You can use it as a stuffing, either for a joint of lamb, or for a squash. It's a lovely savoury dish that would take well to being modernised with plenty of chopped herbs; it's filling, it's cheap, it's nourishing, it's heart-healthy. It just isn't particularly photogenic. The usual rules: If you’ve participated before, you already know the basics. If you haven’t, check here, here and here for ideas on what “heart-healthy” means, and we hope that you’ll join us! Again, we ask that this please be a single event entry (please don’t use your post for other events – that way we can keep things centred on healthy heart awareness). Just send your entry to joannacary AT ukonline DOT co DOT uk (could you use the title HotM, so they don't get lost) by midnight Thursday 27th November, linking to my site, Joanna's Food (and to the HotM blog if you’d like) and I’ll post the round-up during the last weekend of November. Be careful if you find teff in the Freefrom section at Sainsburys - I was so overjoyed to have found some I ran to the checkout without reading the ingredients. It was a teff flour 'mix', 60% cornflour, 20% teff flour, 10% milk and chemicals. Hope you find some, and hope you're having a go at injera - that's why I want to find some! Great theme, I'll be working on a post. I don't know about the UK, but in the US, I have found teff in health food stores.